"I judge a chef based on their roast chicken." "The best way to judge a sushi chef is to order one piece of tamago, or omelet sushi." I don't know who said those things, but I understand the idea. 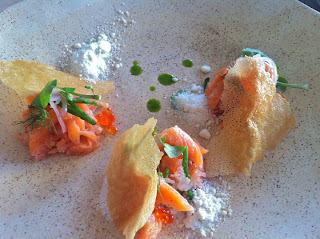 Skilled preparation of the seemingly simplest dishes is one of the marks of a great chef. 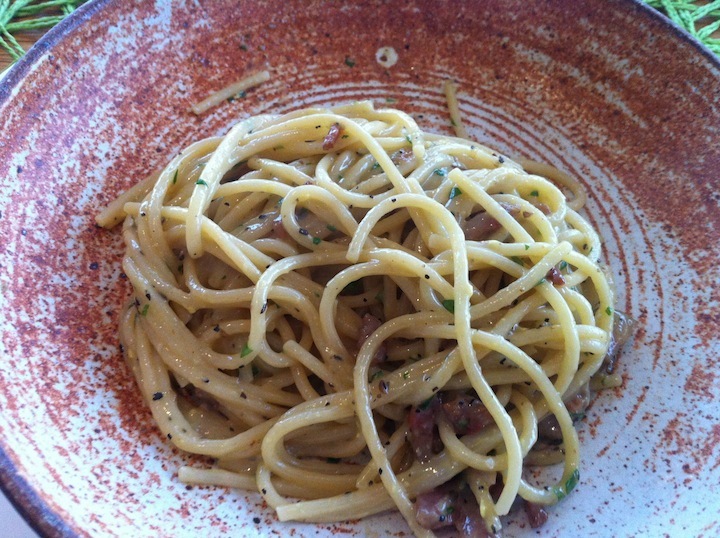 Carbonara might be the roast chicken of Italian cuisine. It is a dish comprised of no more than 5 or 6 ingredients and even the unskilled cook can make a decent version of the dish. But good ingredients and good cooking, as with roast chicken, can elevate carbonara to something spectacular. I've had spaghetti alla carbonara three times in the past week, and that's equal to the number of times I've had it in the past decade. So why now, with the carbonara? A good pal invited me to his out-of-town house for Memorial day weekend and he knows that I have a line on the good meats so he asked me to bring some guanciale, or cured pig's jowl. He had been working on his carbonara and wanted to make it for me during the weekend. Nice. I brought a bunch of wine for the weekend and tried to include things that would pair with carbonara. -Salted water, bring to a boil. 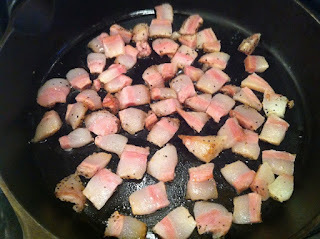 -Slice guanciale, fry in a pan to render the fat. -Pour off some of the fat, add a good glug of white wine and cook down. 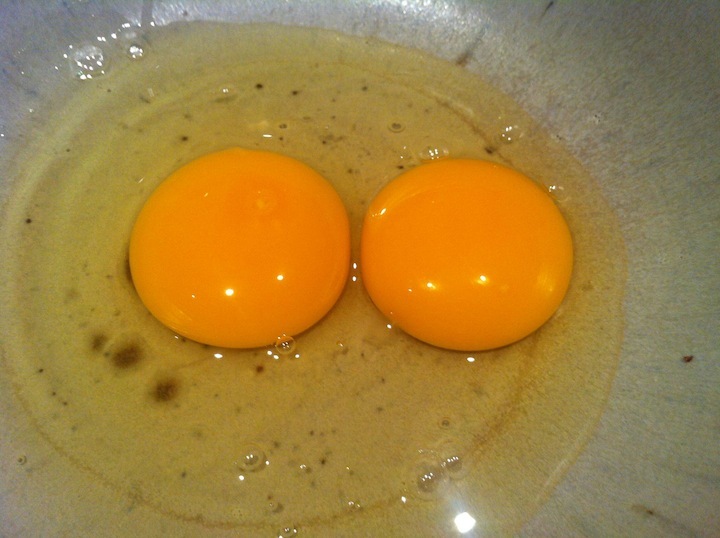 -Crack two very fresh eggs, beat. -Add a generous amount of grated Parmegiano and chopped fresh parsley, beat some more. -Take the cooked spaghetti out of the boiling water, allowing some of the pasta water to come along, and add it to the egg mixture, tossing all the while. -Toss, toss, toss some more so the egg doesn't cook, but instead forms a sort of glaze on the pasta. -Add the cooked guanciale and some salt and cracked black pepper to taste. Our eggs were super fresh - local hens popped them out that very morning. 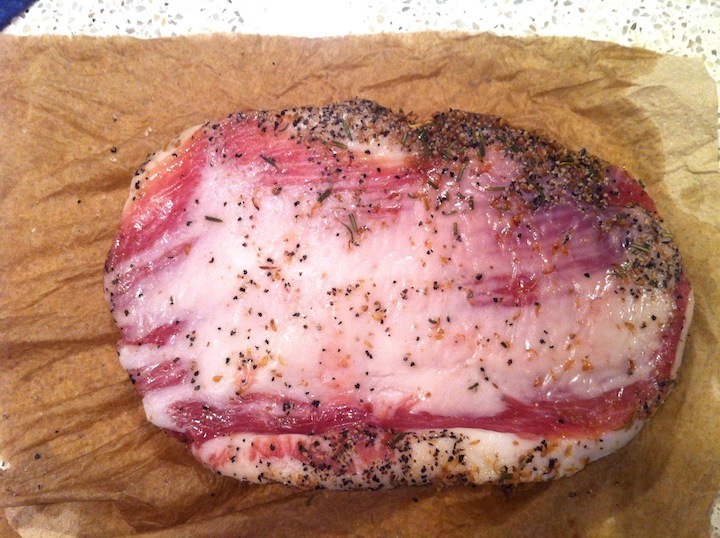 The guanciale was heavily seasoned and had a thick layer of fat. He sliced and chopped it into small thin pieces without removing much of the seasoning. He beat the eggs and mixed in a handful of parsley from the garden. Some high quality grated Parmegiano too. 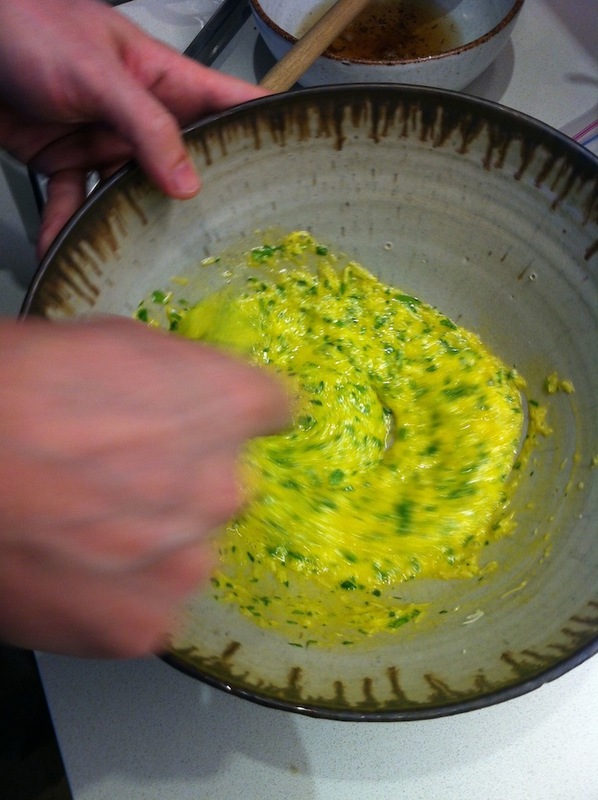 We curdled the eggs just a little bit when we mixed the pasta into the bowl. You can see this - the small solids in the picture above. This first version tasted quite good but it was not perfectly balanced. Too much black pepper and salt - we should have rinsed or maybe even soaked the Guanciale first. Still, it was delicious. I imagined a bright and acidic white wine would work well and opened something I'd been greatly looking forward to - 2001 Prager Riesling Smaragd Achleiten. This is a beautiful wine, fresh flowers on the nose and lovely delicate flavors, all carried through the palate on a wave of mineral and acidity. 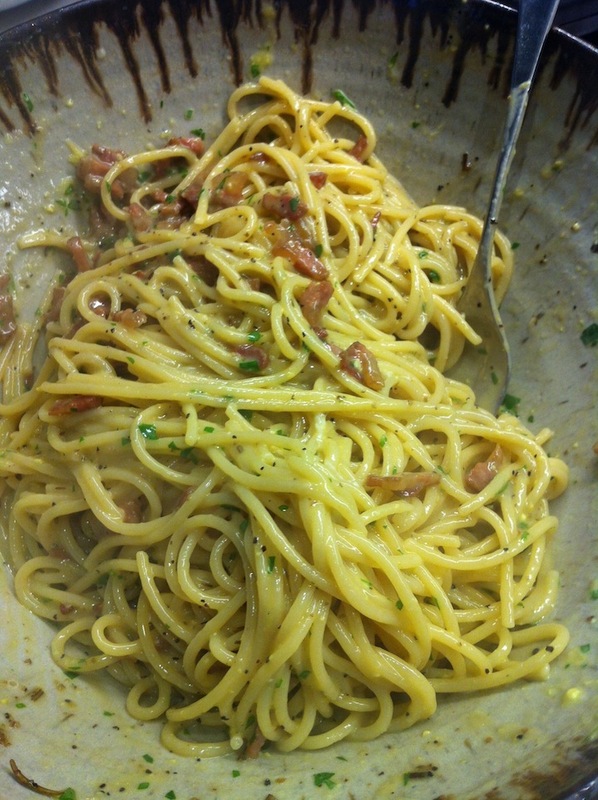 But it was simply no good with this carbonara. The pungency of the dish dominated the wine, there was no fruit at all and this dish needs a little fruit, and the acidity was too strong. We had to kind of set it aside, eat our pasta, and then come back to the wine. 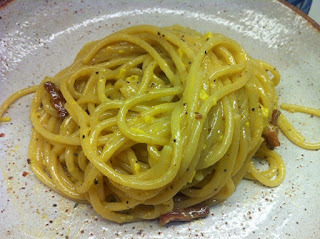 Later in the weekend my friend made another carbonara and this one was perfect, to my taste. 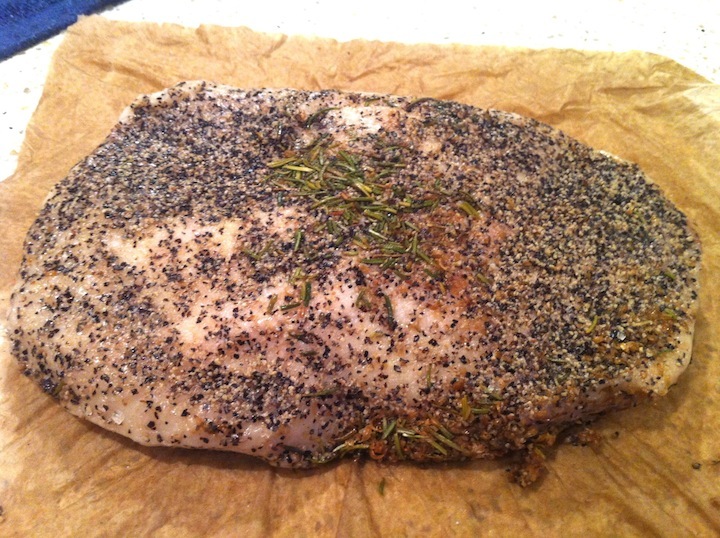 He rinsed off some of the curing seasonings before cooking the guanciale and added no black pepper or salt. He managed to toss the pasta in the egg mixture with no curdling at all this time. It looked beautiful and smelled great. He poured off most of the rendered fat this time too, freeing the aromatic porky pungency of the cured jowl meat to shine through unobstructed.This time I opened a bottle of 2007 Stony Hill Chardonnay. It was a much better pairing. The wine has good fruit that balances the acidity, and is fuller in texture than the Riesling. It's not a better wine, but it was a way better pairing with the carbonara. And yet, I was not convinced that I had found the best pairing. More research was needed. So, when Peter and a few others came over for dinner earlier this week I knew that carbonara would be one of the things I would make. And I wanted to try another kind of wine. But what? I decided to ask friends for advice, friends who know something about Italian food and wine. Jeremy Parzen said that a slightly chilled Cesanese del Piglio, a peppery red wine, would be ideal. "It has just enough meatiness to complement the egg and lardons and its natural spice is great with the heat of the dish," he said. Jeremy also said that if I wanted to drink white wine he would recommend a Frascati, a Lazio Bianco, or an Orvieto. "Acidity obviously is a must but the wine needs some spiciness to go with the freshly cracked pepper of the carbonara," he said. 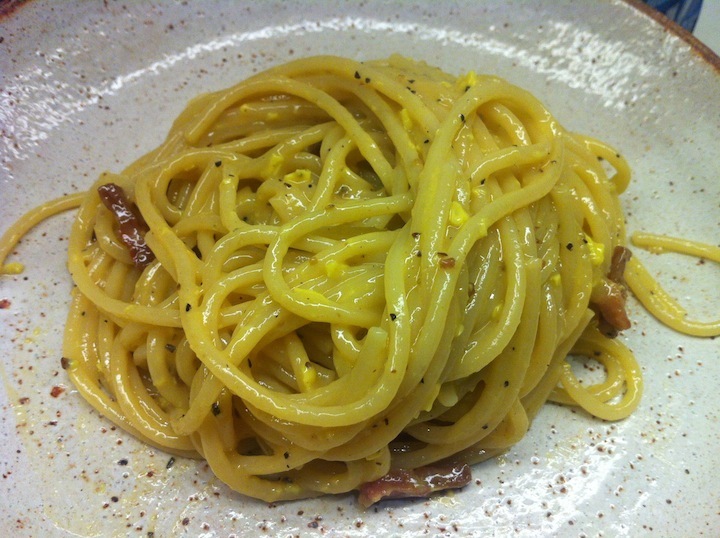 I asked Alfonso Cevola what he thinks is the perfect pairing for carbonara. "Something white and simple," he said. "Maybe a good Frascati or a Verdicchio like Bucci or La Monacesca. Coenobium is a bit out there but I'd try that for an exotic choice. From Abruzzo La Valentina makes a nice Trebbiano (not to be confused with the more expensive Valentini). Something interesting from Apulia is the Masseria Li Veli Askos Verdeca." Some similarities with Jeremy's recommendations, and although most of the wines these guys are recommending are unknown to this Italian wine ignoramus, I began to understand what they were getting at. "Essentially one needs something light with good acidity to cut through the fat of the dish, not too sweet but not lacking in fruit either, and not too dry," Alfonso said. Okay, makes sense. The problem is, I own literally two bottles of Italian white wine and they are both from Friuli and made mostly of Friulano, and they are richer, more herbal wines. Not what those guys described. So I thought about my cellar. What do I have that is simple, fruity, and with good acidity, but not too much of either? Something dry, but not too dry. Something that would stand up to pungent guanciale and also be easy drinking. Friends, I'm here to tell you that I served a Provence rosé with my first ever attempt at Carbonara. The incredibly reasonably priced and very delicious 2012 Domaine les Fouques Côtes de Provence Cuvée de l'Aubigue. And it was a very good pairing. WAY better than the Prager Riesling, which is a far better wine, objectively speaking. A better pairing also than the Stony Hill. My carbonara wasn't bad either, although my friend's was better. I rinsed my guanciale well, removing almost all of the seasoning. I sliced it too thickly though and it crisped up in the pan before all of the fat could render. Still, it was tasty and I managed not to curdle the eggs when tossing the pasta. We ate our pasta and my friends were happy. While we ate I asked Peter, who knows a lot about all wine and food, what he thinks is the best wine to pair with carbonara. Now this is a guy who at home drinks almost exclusively white wine - Champagne and Sherry. "Carbonara is a good red wine pasta dish," he said. He has a friend out west who loves carbonara and who loves to open old Nebbiolo to pair with it. "Now that's good," Peter smiled. Clearly, more research is needed. And by the way, does anyone know a good Brooklyn cardiologist? 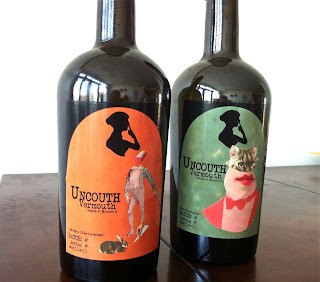 Not too long ago I had the opportunity to meet and taste with Bianca Miraglia, the woman who founded Uncouth Vermouth. Uncouth Vermouth is made in Brooklyn from fortified wines made from Long Island grapes, using herbs that Bianca forages mostly in Long Island. I knew almost nothing about uncouth Vermouth before meeting Bianca. I read Alice Feiring's piece last year in the Times and I remember being curious about the wines. Turns out that the wines are interesting and delicious and that Bianca is a smart, principled, and fun person too. 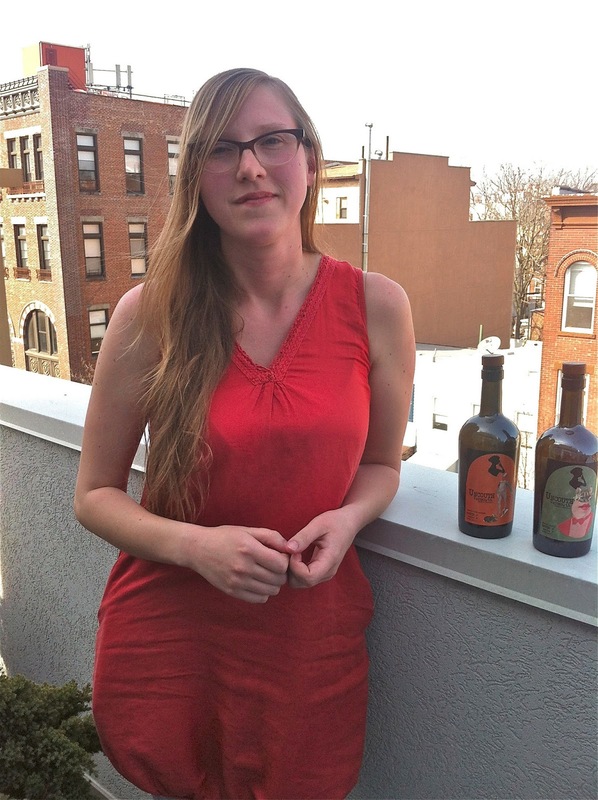 Bianca makes about 2,500 cases of vermouth in a year but she plans to double production soon. 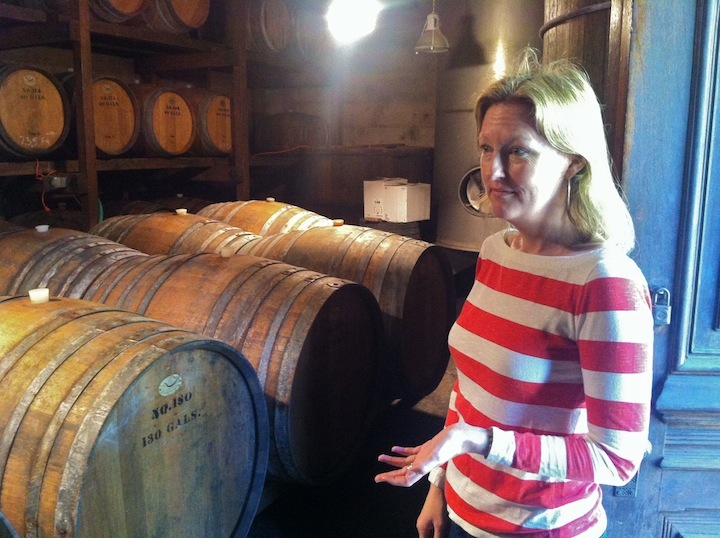 She makes her wines at the Red Hook Winery, and lost almost all of her stock in the Hurricane Sandy flooding. So although right now her wines are as popular as they've ever been, she cannot supply the demand for her wines. Hopefully this will soon change. This is terribly short notice, but Bianca is pouring her vermouth later today (May 10th) at Chambers Street Wines, and you should go taste them if you can - they are compelling. -- Bianca's father's name (Miraglia) means "Admiral" in Italian. He grew up in Greenpoint and had a part in starting the local textile workers union. An original Brooklyn hipster! --She is in her 20's - she is still so young! I envied her for the strength of her conviction, and for the fact that she is doing the thing she cares about and finding success at such a young age. --She left the NYC area maybe 6 years ago on a whim, went to Oregon and worked at wineries for a while. --She was searching for a vermouth answer for the dry martini and made the answer herself - apple mint uncouth vermouth. --Bianca never uses sweeteners of any kind. If her vermouth is sweet it's because the wine it's made from is sweet. --There are no fewer than 20 different herbs in any vermouth she makes. --She strains her vermouth but never filters - she wants to leave the compounds that add flavor and aroma in the wine. "Mauro Vergano makes the best Vermouth in the world, but his style already exists. I want to do my own thing and make something great." "The longer my Vermouths are open, the more they smell like wine. These are wines, fortified wines, more so than they are cocktail ingredients. They should be served chilled but not cold." "Did you see Jiro Dreams of Sushi? Like he said, if you cannot impress yourself you cannot impress others. I want to love my Vermouths, I think of myself as my own best customer." "You can make great cocktails with my Vermouths, but they're perfect on their own and that's how I love to drink them. Or with a dash of bitters and a splash of soda. They're 18% alcohol and you're still going to catch a buzz, by the way." 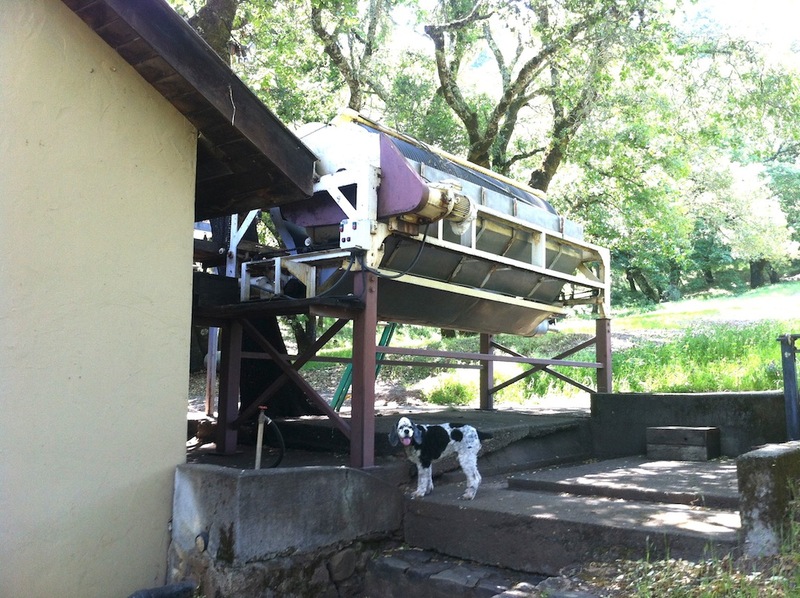 "I won't mail samples of my wines, even to Food & Wine, I just don't do it. I'm one person and I do everything with my own money. The finances make it so I cannot mail samples, but I don't want to anyway. Samples are unnecessary. I respect your money and time and I expect the same. If you want to taste the wines, let's meet and do that together and talk about them." "I love Red Hook Winery. They select so carefully and always try to adhere to their principles of chemical free and healthy farming, but if they have to spray because of weird weather, they're transparent about it." "I spoke with several distributors a while back and they said that if they were going to sell my wines they had all sorts of demands about how I do what I do. Then after a few articles and the Vermouths started to become well known, they came back to me with a different attitude. This time it was do whatever I want and they'll make my brand huge. But I'm not looking to sell my brand. I'm looking to wake up happy every day and to do what I like to do." I wish I could be in my 20's again, with the same unadulterated optimism and strength of opinion. It's good for us older folks to be around young whippersnappers so we can be reminded not to compromise our principles, if possible. Uncouth Vermouth Beet Eucalyptus - made of Pinot Blanc, Chardonnay, and Viogner. Smells strongly of eucalyptus, fresh and enticing. Tastes like beets and eucalyptus, which sounds trite, but is true. It seemed like an odd combo to me, but it works. The wine is fresh tasting and the finish is mellow and complex. If not drinking it straight, Bianca says this Vermouth makes an amazing Negroni. Uncouth Vermouth Serrano Chile Lavender - made of Finger Lakes Riesling (which was made by Abe Schoener). Both were excellent but this one really moved me. First of all, it's spicy, and not blunted so that all can enjoy it. It's legitimately spicy. Especially after swallowing. There is subtle lavender on the nose but more prominently, a smell that it took me a while to figure out, but it's the smell that I get from high quality silver tequila. Green, succulent like a cactus, and spicy. Agave? I have no idea. I would drink this chilled straight, but it seems like there are many cocktail possibilities here too. Go Bianca! I hope that you refresh your stocks and can sell your Vermouth to everyone who wants to buy it. And that in 10 years, you still apply the same principles you do today to whatever it is you may be doing. Thanks again to you all for your thoughtful recommendations. General impressions? From the very small sample I experienced, SF chefs are clearly concerned with the freshest and most seasonal of produce, and they clearly have access to high quality material. Seafood was uniformly excellent. Service was uniformly friendly and competent. Reservations were uniformly hard to come by. Wine lists were not terribly exciting, but there was almost always something good to drink. Very high quality food is available, and if it were NYC, it would be two-three times more expensive and created in a far more precious atmosphere. 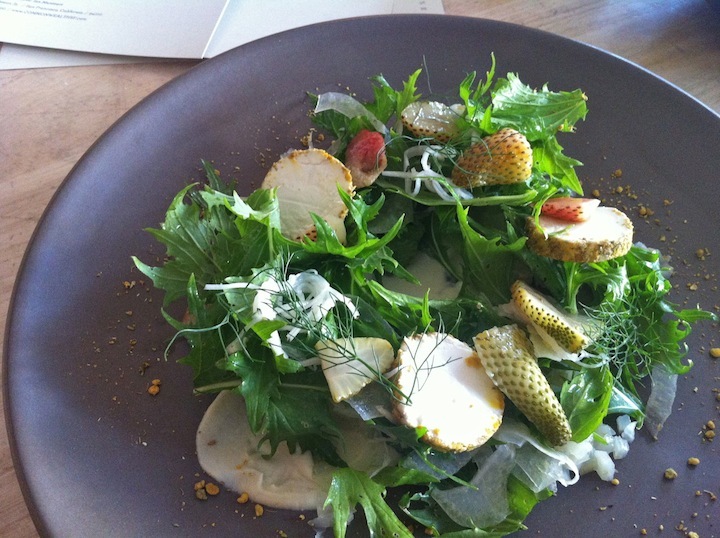 Overall, I had a great eating experience and look forward eagerly to the day I can go back. I ate dinner at Bar Tartine and it was outstanding. It's a comfortable and stylish space without any pretense. We tried 8 dishes and all but one was excellent, a few were superb. 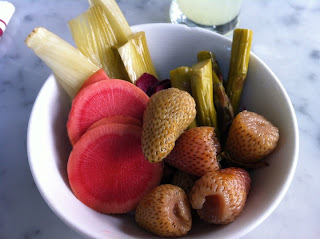 The assortment of pickles was skillfully done - the apex of pickling, if you will. Red cabbage, for example, was enlivened with just the right touch of ginger. Mushrooms were toothsome and not oily at all, chioggia beets were draped in buttermilk and the result was thick but lively, and completely delicious. Terrine of beef tendon with horseradish and fresh greens was complex and delicious. Raw halibut with seaweed was excellent, so was fisherman's stew with green chili, so was spätzle - the lightest I've ever had. We drank two excellent wines with this feast. 2004 Karthäuserhof Eitelsbacher Karthäuserhofberg Riesling Spätlese was in a great place for drinking, so balanced and lovely, so good with the food. And 2010 Knoll Riesling Smaragd Ried Schütt, which was young, reduced, and altogether reticent, but still after 45 minutes showed how good it's going to be. We loved our dinner at Tartine and I would recommend it to anyone without hesitation, and I cannot wait to go back myself. I ate lunch at Hog Island Oyster Company before heading to the airport on a Sunday, and it was outstanding. Now, none of you mentined Hog Island in your recommendations - you said Swan Oyster Depot (which I drove by one evening and looked great). But I met a guy who left NYC in '06, a guy who had been one of my closest friends and who I haven't seen since then. We were near the Ferry building and that's where we went. We ate oysters - couldn't tell you what kind, other than that some were Kumamoto. They honestly were as fine as any oysters I've had. 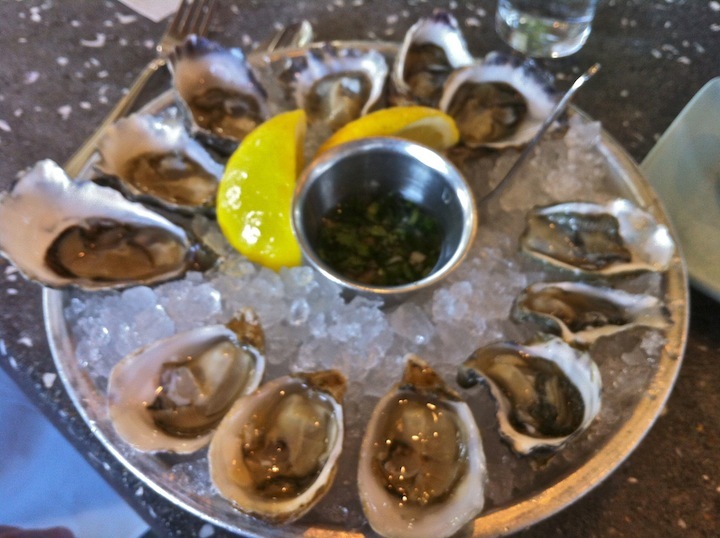 So fresh and briny sweet. There was nothing terribly compelling to drink. I went with a bottle of Henriot NV Blanc de Blancs, and I must say that it was great. Focused, chalky, classic. Clam chowder was delicious too. This was a lunch I would happily eat once a week for the rest of my life, and my excitement would never ebb. That same buddy and I ate an impromptu early dinner at Commonwealth one night. We tried to go to State Bird Provisions, but could not get in. We arrived at 5:07, the restaurant opens at 5:30, and there was already a line of about 24 people in front of us, none with reservations. That place must be interesting, and probably quite good, and one day I will try again. Commonwealth was a fantastic replacement. Okay, so I was with a good old pal and we would have had fun wherever we went, but Commonwealth really delivered. So comfortable and airy, everything so beautifully presented, so fresh and balanced in flavor. We had the tasting menu and it was a perfect meal. Yup, I said perfect and I mean it. Not a whole lot of wine that I wanted to drink, and I was warned that this would be the case. But then I noticed they had Philipponnat Champagne NV Brut Royale Reserve, the entry level wine from this great house. I'm pretty sure this was based on the excellent 2008 vintage, it is predominantly Pinot Noir and like the Henriot, it was a reminder of how great even basic "big house" Champagne can be, when made by the right folks. This wine was excellent, something to seek out and drink for yourself. The commonwealth folks put a bowl of homemade potato chips sprinkled with seaweed in front of us as the wine was opened. Not an entirely bad combination. 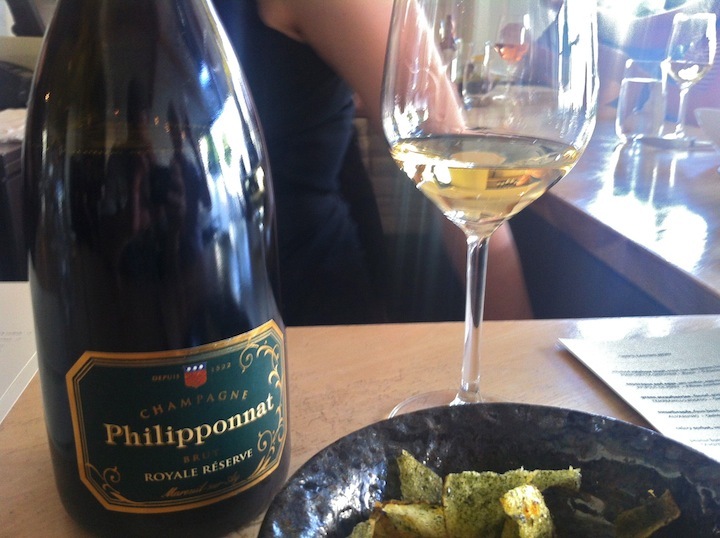 Then they came with an amuse of raw yellowtail with thinly sliced jalapeno, also pretty good with the Champagne. 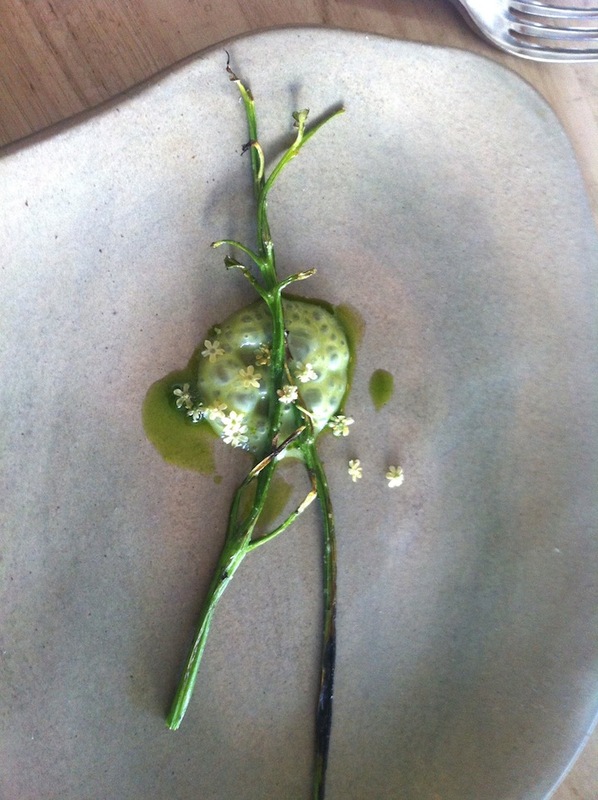 And then another amuse of lovage stems with some sort of whey/herb frothy situation, and it was very, very good. And only after these items did our 6-course tasting menu ($70, $10 of which is donated to charity !) begin. 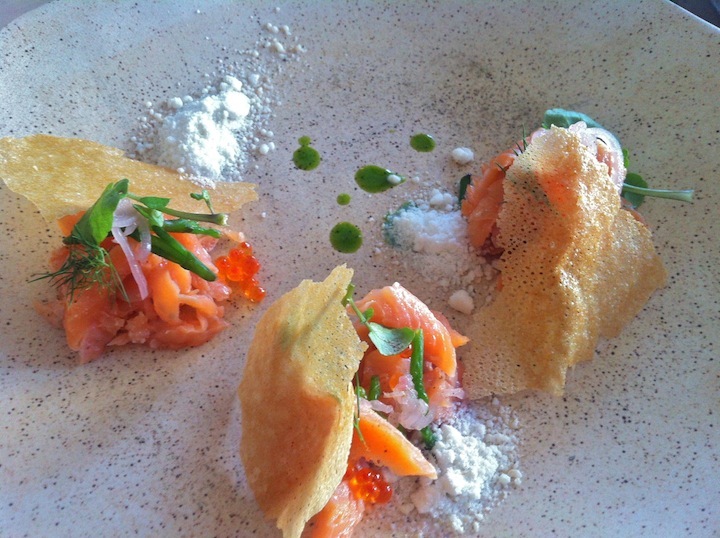 We ate smoked sea trout with trout eggs and horseradish buttermilk powder - chemical cookery there, and quite delicious. These portions, by the way, were generous. This meal would have cost $175 at least, before wine, in NYC. I hate that. Then we ate what I would say is the single best thing I ate in SF, called eggs and asparagus on the menu, but it was about the sea urchin. 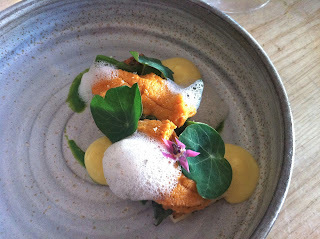 Served atop a seaweed brioche with asparagus, egg mousse, pickled horseradish leaves, and whey foam - I think it was whey foam. The salad of mizuna, black radish, and goat cheese with green strawberries (the new hottest food item?) and fennel pollen was mild, earthy, and delicious. My friend didn't love it, and I can see how that is possible, as it wasn't a viscerally delicious thing. But I thought it made sense in its own composition, and in the place it was served in our meal - after the amuses and the seafood courses, almost to calm us down, to recalibrate us, before the sweetbreads. 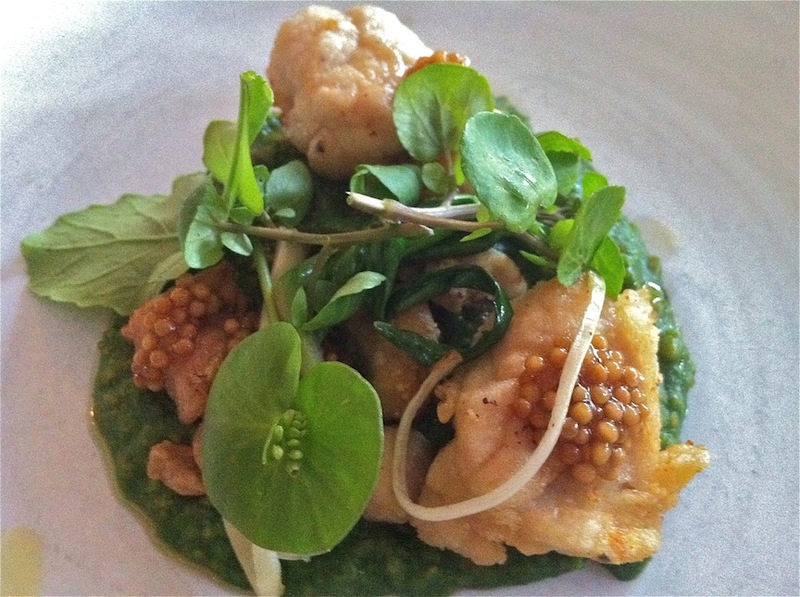 Which were excellent, perfectly cooked, served on fava and nettle porridge and topped with pickled mustard seeds. I'm not a huge sweetbread fan, but I was sold on these. And this was followed by the most perfect small glass of celery sorbet. I don't even need to describe it further - perfect. The peanut butter ice cream bar with salt caramel sauce and "frozen popcorn" was seriously excellent too, but the sorbet stole my heart, in the sweet department. Wow - Commonwealth. I took a long walk from the Embarcadero to the Mission one day and ate lunch at Local's Corner. Everyone I mentioned this to said they like Local's Corner, and I liked it too, but I didn't love it. There was no wine I wanted to drink and the beer taps were down, but my lemonade was very good. People were genuinely friendly, and it felt good to be there. The pickles I ordered were excellent, but mostly it was the tart, sweet, green strawberries - filled with fresh strawberry taste, but green and pickled. Spring garlic soup was the emperor's new clothes, so mild and milky that there was nothing to latch onto. And trout with spring peas and pea tendrils was admirable in its simplicity and freshness, but was under-seasoned. Salt would have been enough (but there was none on the table, of course). 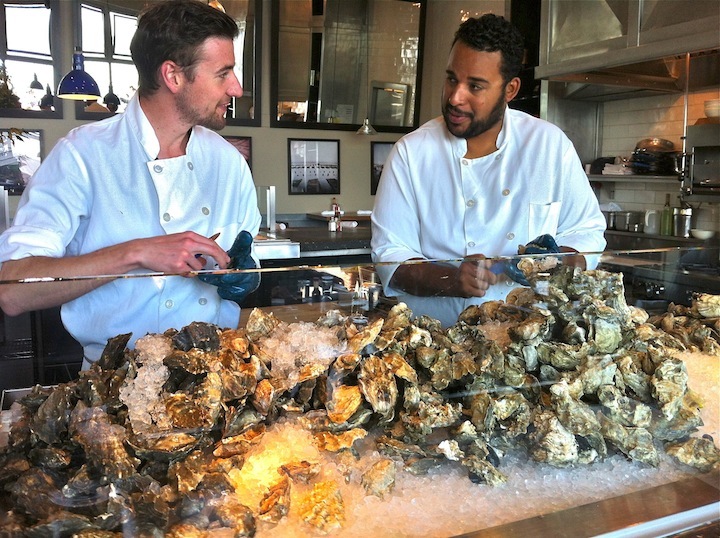 The earnest chefs in the open kitchen looked like they stepped right out of Taconic on Bedford, so that's something. I would go back if some one else suggested it, but I doubt I would return on my own. Zuni Cafe was a bit disappointing.The food was tired, that's the best way to describe it. Nothing was plated in a terribly attractive way, salads were overdressed, lamb was underwhelming, but none of this mattered one bit because I was with good friends and had a ball. I don't remember what I had for dessert but it was delicious. But I suspect that this place is past its prime. One thing - we drank very well at Zuni - Larmandier-Bernier Blanc de Blancs was delicious, as was 2010 Roulot Meursault (!). We had a weird experience with our red wine, but that's a story for another time. 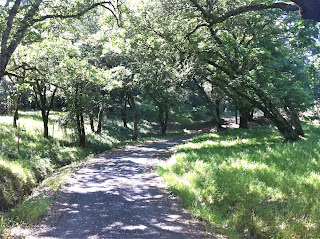 Oh, and by the way, I stopped by Terroir one late afternoon, not having planned to, but I was 3/4 of the way through a tremendous walk, and it was relaxing and nice. The dudes who worked there were friendly and there was a load of enticing wine on the wall. Not a lot of which was actually for sale at Terroir, but that's fine. After asking for 5 different wines that turned out not to be available, I took the guy's recommendation and drank a glass of 2009 Puffeney Savagnin. It was delicious and I enjoyed taking it upstairs and lounging on a comfy club chair, leafing through Jay McInerney's wine book. Local's Corner and Zuni aside, it's obvious to me from Tartine, Commonwealth, and Hog Island that there is fantastic eating to be had in SF. Thanks again for your recommendations. It was a glorious Saturday, sunny and warm but not too hot, clear blue skies, and I was with people I work with, people who have over the years become good friends. 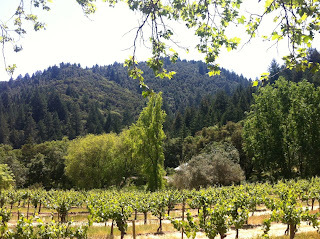 I had never before been to the Napa Valley, or to any California wine region. We drove north from San Francisco and at times it was startling in how lovely it was. As we approached Napa we hit traffic, the first sign of the popularity of this place as a tourist destination. I saw a sign for Domaine Carneros and then another for Beaulieu Vineyards. 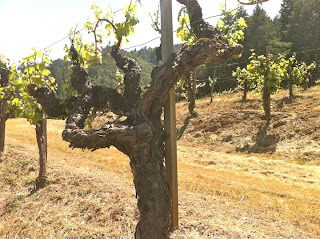 We saw large flat vineyards with rows of skinny vines supported by posts and wires, all draped with thin hoses for irrigation purposes - it gets very hot in the Napa Valley and months can go by in the summer without rain. 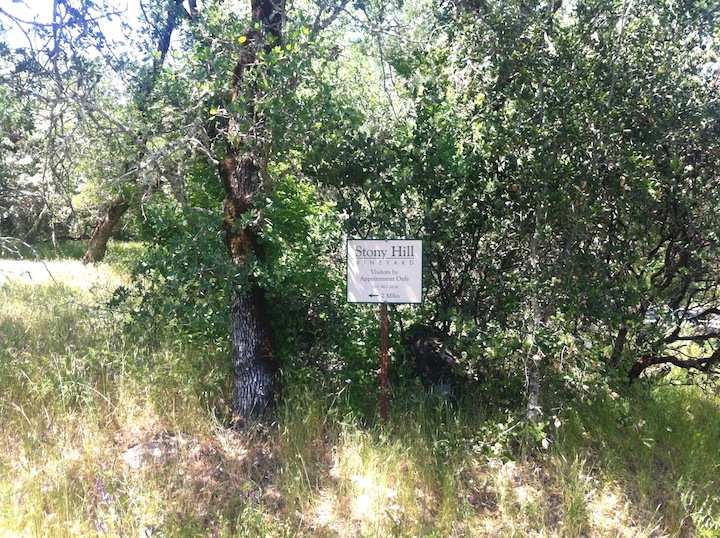 We, however, were going to visit Stony Hill, the iconic Chardonnay producer, physically located in the tourist carnival that is the modern Napa Valley, but philosophically located somewhere else entirely. Sarah McCrea, the granddaughter of the founders of Stony Hill Winery, and its current Sales and Marketing Director, told us to drive through St. Helena 3 miles past the Chevron station and onto Bale Grist Mill road to find Stony Hill. We literally inched through traffic, finally reaching the town of St. Helena. It took us almost an hour on a Saturday early afternoon to drive perhaps 10 miles, allowing us plenty of time to look at the various shops of St Helena. I saw that I could buy some very cool and fancy outfits for my dog, if I wanted. I'd have to get a dog first, I suppose. I saw a restaurant that looked like what a Hollywood producer's stylized image of a rural California lunch counter should have looked like circa 1972. It looked good. 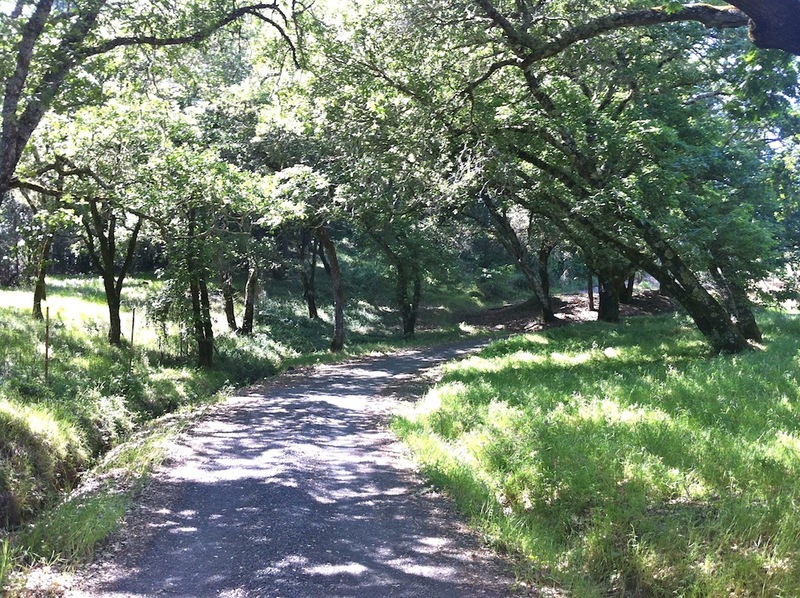 And then, finally, Bale Grist Mill Road. We began to climb and immediately we left the tourist world behind for this one lane country road. Luckily one of us saw the sign for Stony Hill. We drove by a vineyard whose vines were thick and gnarly, old-looking, without irrigation hoses - just vines. We arrived and were greeted by the very friendly and genuine Sarah McCrea, and her mother Willinda, who said hello and went back to work in the office. 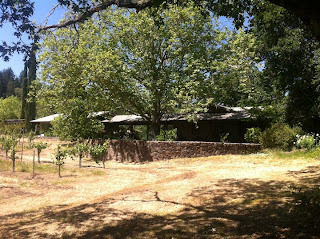 Stony Hill Winery was created when Fred and Eleanor McCrea bought this land in 1943. They planted Chardonnay grapes in 1947 and offered their first wines to friends in 1952. The vines are a lot older now, younger McCreas run the place, there is some new equipment and the barrels turn over, but not a whole lot else has changed. Obviously this in itself says nothing about the quality of Stony Hill wine, but it happens that Fred and Eleanor got it right in the first place. 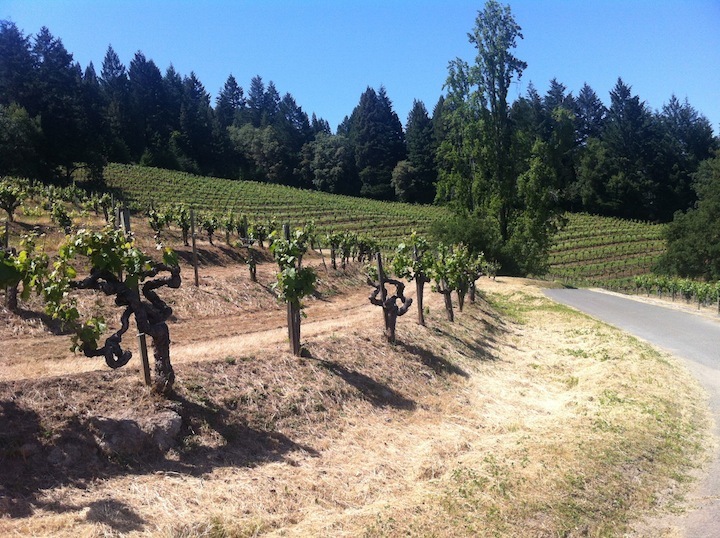 The vineyard plots are mostly exposed to the east, and are on hills with natural springs running underneath - this is how they avoid having to irrigate in the intense heat and dry Napa summers. They ferment and age their Chardonnay in old neutral wood, preferring to highlight the natural aromas and flavors of their grapes, and they avoid malolactic fermentation, preserving the intensity of the acidity in their grapes. 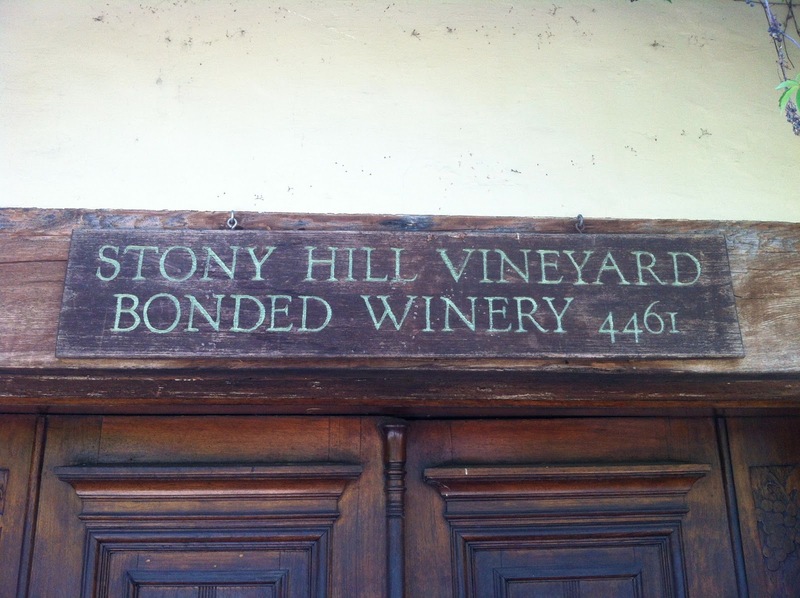 People who know about Stony Hill have for decades prized their Chardonnay for its purity and grace, its unadorned intensity and complexity, and have appreciated its ability to improve with time in the cellar. Sarah took us to see the vineyards and the barrel room, and Milo the Stony Hill springer spaniel accompanied us on our walk. As we walked from the offices, it was immediate and apparent how far away I felt from the tourist road, how bucolic the scene was. 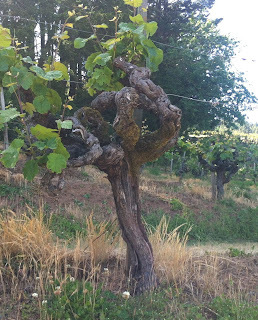 We walked past a plot of Chardonnay vines and saw beyond that another plot of old Riesling vines. I looked back at the offices and tasting room and thought, "I could live here." The old vines were vaguely anthropomorphic in appearance. They seemed so sturdy and weathered, such beasts compared to the delicate grapes they would give forth, to my untrained but highly opinionated eye. 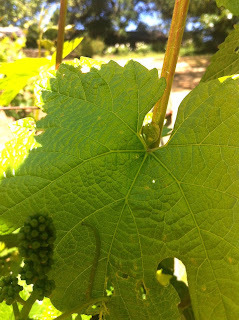 I looked closely at a Riesling vine and saw that budding had actually begun - early this year, Sarah said. We reached the barrel room and press. 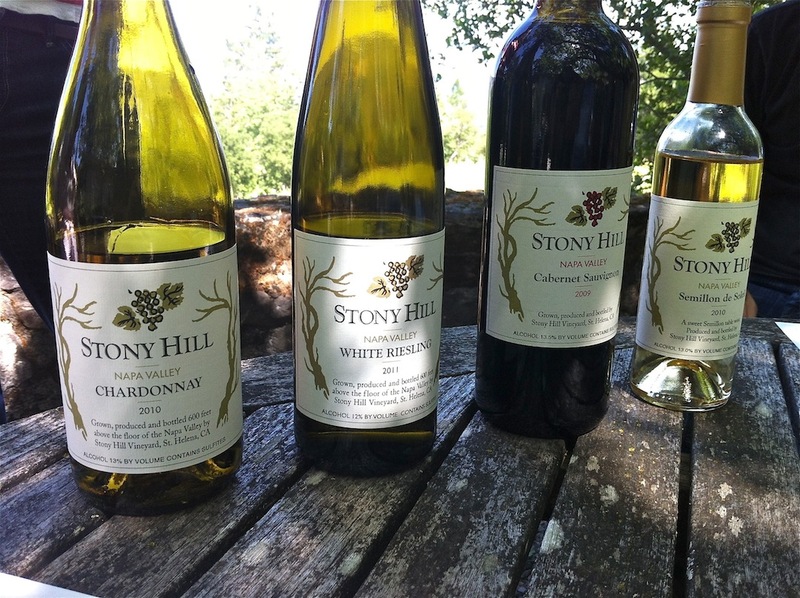 Stony Hill is famous for Chardonnay and produces about 3,000 cases in a typical vintage. There is also a Riesling, a Gewurztraminer, a Semillon sweet wine, and now a Cabernet Sauvignon - first commercial vintage is 2009. There's not a lot of wine, and unbelievably to me, Sarah says they still sell the majority via their mailing list. I guess that makes sense, actually. Why give money to a middleman if people are willing to buy direct? Inside the barrel room we sampled the new Chardonnay vintage, the 2012. 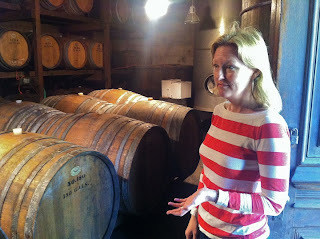 Sarah said it was a great year for Stony Hill, as opposed to 2011, which was very hard for everyone in the Napa Valley. 2012 produced balanced wines that show the typical Stony Hill intensity and purity, she said. If the barrel sample I tasted is representative, I wholeheartedly agree. The wine was fragrant and intense with fruit and rock and left a lingering spicy and almost grassy taste after swallowing. I have been drinking Stony Hill wines, when I can find them, for a few years now. 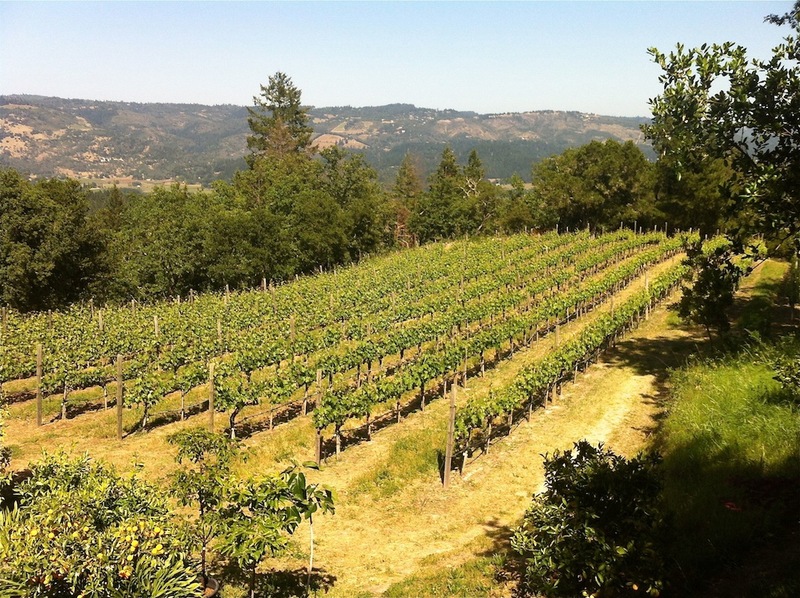 I love the Chardonnay because it is delicious and unadorned and it seems to me that it expresses the greatest aspects of Napa Valley terroir. It is rich and intense - this is a hot place. But it is also acidic and finessed - Stony Hill vineyards are 600 feet above the valley floor. 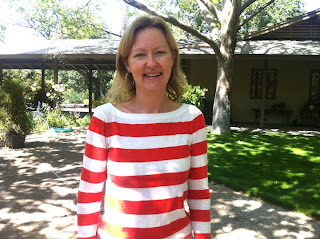 I asked Sarah why her family chose to plant Chardonnay instead of Cabernet, the more popular grape. "At the time we first planted Stony Hill, no one had really given much thought to where certain grapes should be planted," Sarah's father wrote in an email. 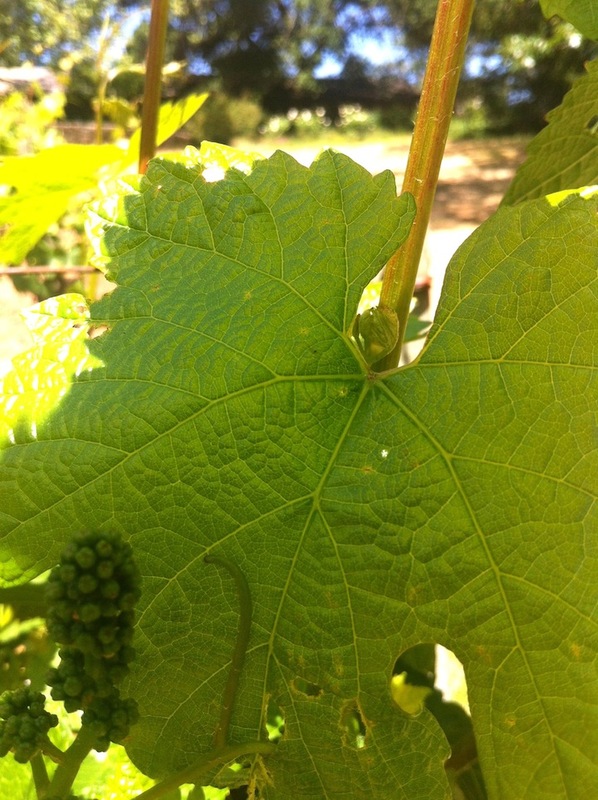 "My father just planted what he liked, which was Chardonnay, and three other varieties that U.C. Davis suggested - Pinot Blanc, White Riesling (then known as Johannesburg Riesling), and Gewurztraminer. 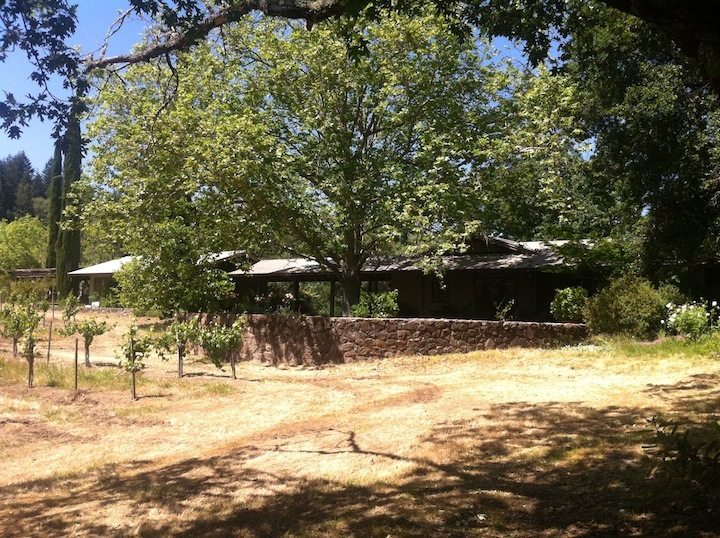 It turned out that because of the eastern exposure the property was ideally suited for growing white grapes. By the time we needed to replant the vineyard, we had already become quite famous for our white wines, so changing to reds didn't make much sense. 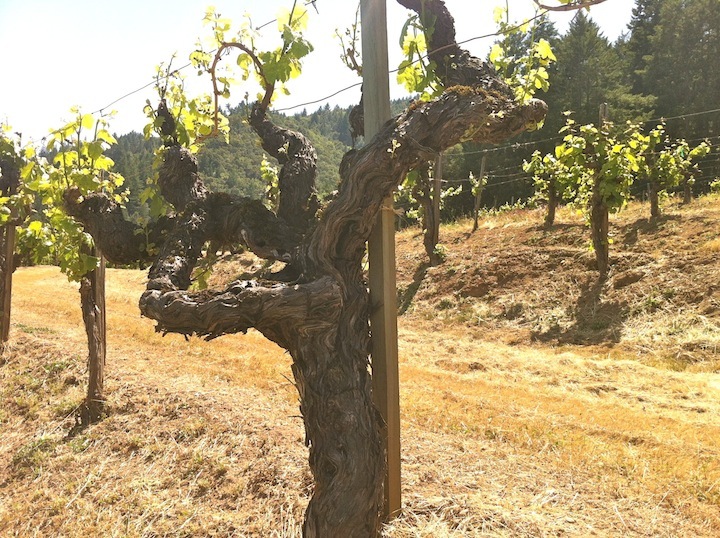 It is worth noting that our new Cabernet comes from a relatively new vineyard that has a western exposure that is more suitable for growing red grapes." 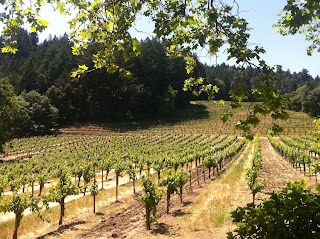 We walked a different path back to the tasting room and again I marveled at the scenery - we were way up in the hills here. Does wine made here, in this style, resemble the more industrial wines made on the valley floor? 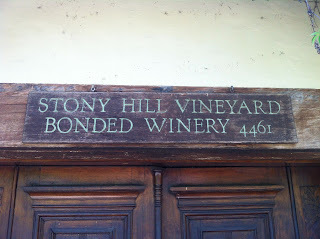 If you visit Stony Hill you will not taste old vintages, it's not that kind of place. You will taste whatever is current, whatever they still have in stock. 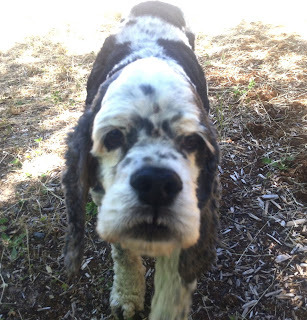 And as fun as it is to taste the wines, the viscerally moving aspect of the visit is walking the vineyards with Sarah, Milo, and whoever you came with, experiencing this place high in the hills. But taste you will, and we did this in a lovely outdoor garden in back of the office area. 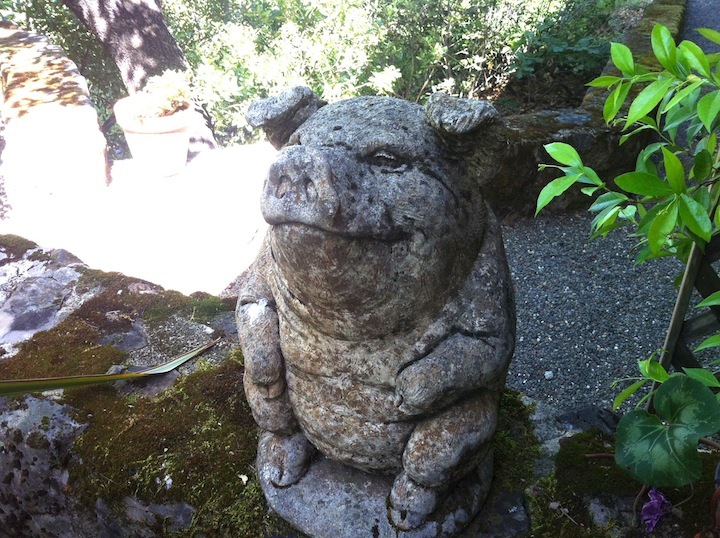 A happy little pig watched over us from the side of the office. We tasted 2010 Chardonnay (utterly delicious - the best of the recent Stony Hill vintages I've tasted), 2011 White Riesling, 2009 Cabernet Sauvignon (restrained and expressive, very impressive! ), and the 2010 Semillon sweet wine. 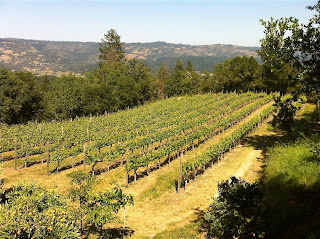 As we sipped and talked, we looked out onto a plot of Syrah, relatively young, planted in 1998. This is sold only to wine club members, along with another rarity - a rosé of Cabernet Sauvignon. 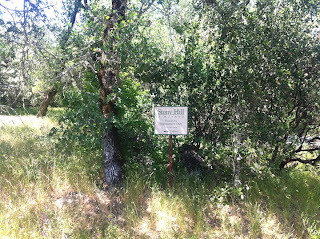 I've often thought that Syrah and other Rhône grapes should do very well in the intense heat of the Napa Valley - I bet that Stony Hill's Syrah is excellent and I hope to taste it one day. Tasting these wines I could feel how different they are from the typical Napa wine. These are made to showcase the juice from the grapes grown on their hillside vines, and the soils they come from. Nothing more, nothing less. Now that I've seen the gorgeous setting where these wines are grown and made, I feel like I have a richer understanding of why these wines smell and taste the way they do. And the prices are quite reasonable - current release Chardonnay shouldn't cost more than $45. I think of Stony Hill Chardonnay as the best wine, dollar for dollar, that's made in the US, but take that with a grain of salt, as I have less experience with California wine than some who are better qualified to make such a statement. If you haven't tasted a Stony Hill wine, you should. 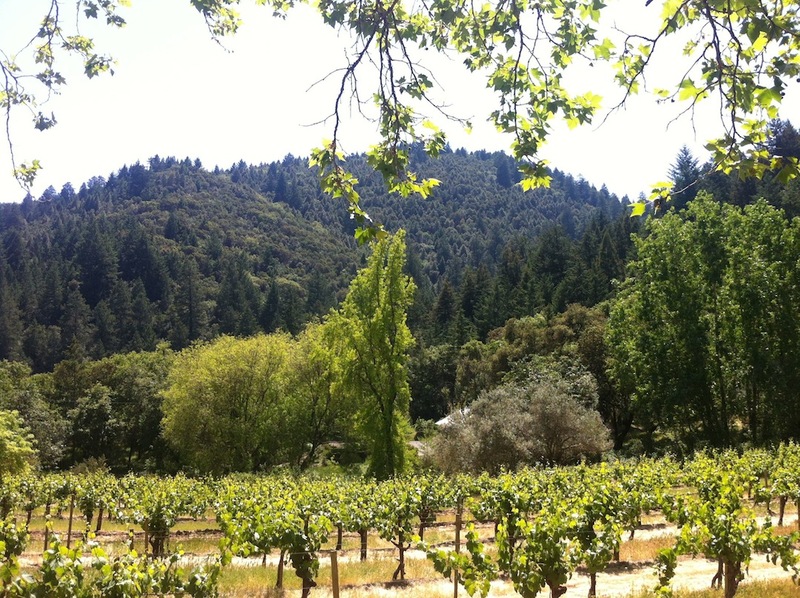 It may change your mind about what the Napa Valley is capable of.